CHICAGO, ILLINOIS. 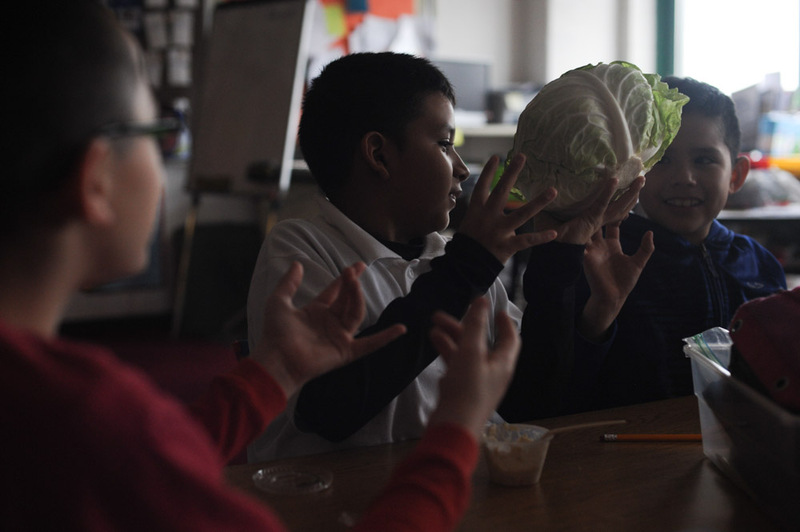 Fourth graders in Ms. Ramirez's class pass around a cabbage from the family-owned DeGroot Farms at the Nathanael Greene Elementary School in the McKinley Park neighborhood on December 19, 2014. DeGroot Farms sells to Aramark which in turn has a contract to serve Chicago Public Schools.